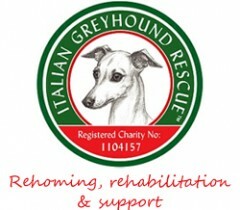 The Italian Greyhound Rescue Charity has decided to start a Blog that will be shared here on the website. It will be an informal affair, telling the stories from some of the owners who have adopted dogs from the rescue alongside other rescue business and updates. We hope the Blog will be a source a humour for readers as well as being informative both about IGs and the work of the Charity. So sit back with your cup of coffee and enjoy! Earlier this year, a Council prosecuted a dog owner who had failed to update their dog’s ownership details on the Petlog database. This follows the new legislation regarding mandatory microchipping which was brought into force in April 2016. Since 6th April 2016, it has been compulsory for owners to ensure that their dog is microchipped so, when an owner failed to complete the transfer of keepership of their dog, they paid the price after being prosecuted and fined by their local Council. This particular case was brought to the courts by Chelmsford City Council. The dog’s breeder had microchipped the German Shepherd-Husky cross and had registered them on the Petlog database; however, the dog’s new owner failed to complete the transfer of ownership. Consequently, when this dog went missing and their microchip was scanned, the dog’s details were not displaying on the Petlog system. It was only by chance, when the owner contacted the Council’s dog service to report their dog missing, that they were able to reunite the two. Upon identifying that this dog was not on the Petlog database, the Council followed up this case. Despite the owner being in receipt of the necessary Petlog forms, they did not complete them within the 28 day time period which resulted in Petlog removing the dog’s details from their database. The successful prosecution of this owner resulted in them being fined over £350 by the Council, a rather costly price to pay for not keeping their dog’s details up to date with Petlog. What this case serves to highlight is that it is the responsibility of a puppy’s/dog’s new owner to update a Government approved database where the microchip is registered with their information. While it is the breeder’s responsibility to microchip their puppies from the age of 8 weeks old and to register them with a Government compliant database (there are ten approved databases in total, one of which is Petlog), it is the buyer’s responsibility to follow this up by completing the transfer of keepership paperwork. All subsequent owners/keepers (where the dog resides) must keep the contact information associated with their dog up to date on a Government compliant database. This includes a change of address or telephone number. DOG BREEDERS: as detailed above, breeders have additional responsibilities for their puppies. If you are looking for a puppy, whatever the breed, the breeder you choose should demonstrate a thorough understanding of this legislation and the implications it has on your role as a dog owner. DOG OWNERS: when you collect your puppy, the breeder should supply you with the necessary paperwork needed to update your dog’s information with the relevant database. The breeder will be your puppy’s first registered keeper and you will need to complete the transfer of keepership so that the relevant database records your details against your puppy’s microchip ID. If you get an older dog, you will similarly need to make sure that you complete the transfer of keepership otherwise the consequences could be notable. Firstly, should your beloved dog ever go missing, if your contact information is not linked to the microchip, when your dog is scanned, the authorities will be unable to identify that your dog belongs to you, reducing the chances of reuniting you both back together. Secondly, if you and your dog are found to not comply with the legislation (either by not having your dog microchipped or by failing to inform Petlog or other Government compliant databases of any contact changes), you could face a fine of up to £500. RESCUE CHARITIES: when a dog comes into the care of a Charity, such as the IGRC, the changes in keepership need to be recorded accordingly. Petlog’s Rehoming Service has been set up to assist rehoming charities so that dogs awaiting adoption can have their microchip details recorded to the rescue organisation. This Rehoming Service also enables charities to update a Petlog entry with the new keeper’s information once a dog’s adoption has been successfully completed. There is a lot of information out there to fully understand regarding the microchip legislation and the procedures associated with this new system. The effectiveness of microchipping is only upheld if the contact information associated with a particular ID number is the latest. By keeping your dog’s microchip information up to date (whether that be when you move house, change mobile numbers etc), you are hopefully increasing the likelihood that your dog will be successfully returned to you should he or she go missing. If you are a dog owner or prospective owner, please do not get caught out by the new legislation. Blog #4 Is an Italian Greyhound the right breed for you? Our previous blogs have hopefully provided some advice on how to find a reputable breeder and also on how important it is to wait for the right dog, but here we will focus even more specifically on the Italian Greyhound- their character, their personality, their needs – in an attempt to help prospective owners decide whether an IG is the right breed for them. The IGRC receives enquiries on a daily basis from people who are interested in welcoming an IG into their home. Many people have already carried out thorough research into the breed while others are in the early stages of investigating more about IGs. This blog will hopefully answer some of your questions about this beautiful breed which has captured the hearts of so many. 1. The Italian Greyhound is in the Toy Group so are they similar to other breeds in this group? The IG may be a member of The Kennel Club’s Toy Group but IGs are a Sighthound at heart. Overseas (under FCI governing rules) they belong to the Sighthound Group and it is worth all prospective owners bearing this in mind when considering an IG. They may be small, but the IG is an incredibly energetic dog – they are a Sighthound in miniature and they must be treated as such. Some of you may have seen IGs being carried around in “designer dog-carriers” but they are not a breed which can be simply carried and caged away. They love their exercise and it is vital part of their daily well-being. 2. Do Italian Greyhounds require much exercise? Yes. The energy levels of an IG can often surpass the energy levels of bigger breeds, such as the Whippet and Greyhound. A Greyhound, for example, will be very happy with two short walks in the morning and afternoon either side of spending the rest of the day on the sofa. The IG, however, needs much more stimulus. If you speak to any IG owners, they will probably say that they take their dogs for walks which exceed an hour at a time. IGs love to explore, run with one another, investigate every corner of the fields they exercise in, and much more! At the end of the walk, some of the energy reserves will have been used up but please do not be deceived. An IG can return from a walk and then play for a good while longer in the house. In short, an IG will sleep when necessary (and they do make the perfect sofa partners and hot water bottles) but they have an abundance of energy which most humans are envious of. When it comes to exercising, IGs should be walked by their owner or by someone who they are very familiar with. IGs can be easily spooked so if they are on a walk, they need to be with the person with whom they have the strongest bond and who understands their character and behaviour. This is why the IGRC does not recommend that IGs, especially those who are rescues, are exercised by external dog walkers or placed into day care centres where they may not know the people who are looking after them. IGs are not like any other breed so they must be looked after by those who have a thorough understanding of the breed. 3. Are Italian Greyhounds prone to health problems? The most common health problem that people will associate with the IG will be leg breaks. Their slender legs can be more prone to accidents and, dogs will be dogs so accidents can and do happen. But reputable breeders have thoughtfully bred and produced IGs with improved bone density. This is just one of the reasons why people interested in an IG must do their research properly and find an established, reputable breeder. -If there is anything about the advert or the website where the puppies are being advertised that sows a seed of doubt in your mind – if there is something that concerns you or you want to check whether a breeder is well-known, prospective owners can always check with the IGRC for further advice. Once the owner of an IG, you must be sensible and employ common sense. IGs should not be allowed to race up and down stairs, they should be exercised with suitable canine companions (to run an IG with a larger, heavier build of dog is not advisable), and jumping from heights at high speed should be prevented too. Furthermore, a high quality diet should be fed so that an IG’s internal well-being is kept strong and healthy. Many breeders and the IGRC recommend that IG owners take out suitable pet insurance for their dog. None of us know precisely what the future holds and the time may come when your dog requires treatment which can be costly. As a dog owner, you take on the huge responsibility of caring for him or her from the moment you collect them through to the time they pass over the rainbow bridge. By having adequate insurance in place, you have the peace of mind that some of the costs of veterinary fees are covered. 4. How well do Italian Greyhounds get on with other dogs? As with any breed, dogs must be introduced carefully and sensibly to other animals in the household. For those of you who have friends with IGs, you will notice that most IGs make friends very easily. IGs enjoy both human and canine company, playing, exercising, and snoozing together. Each dog is different, with some preferring to be the sole focus of their owner’s attention whereas others thrive on being with other dogs. 5. What is the Italian Greyhound’s temperament like? IGs are a sensitive breed. They can be aloof at times and some IGs will be more reserved than others. What is crucial is that IGs are sympathetically handled, well socialised from a young age and throughout their life, and given routine and structure so that boundaries are established as part of their training. The IG is an incredibly loyal and loving breed, close to their owner’s side at any given time. As described above, IGs are energetic and with this comes a very fun-loving breed who will never make for a dull moment in the home. IGs will never fail to make you smile! If the answers to any of the above questions have cast a query or slight doubt in your mind as to the IG’s suitability with you, please do not bury these thoughts. Unfortunately, too many people have a fleeting meeting with an IG, fall in love with their “cuteness” and take on an IG without truly understanding the breed. Yes, they are small and beautiful, but IGs are lively dogs who need and deserve due care and attention. Do not cause unnecessary heartbreak for either an IG or your family by making the wrong decision. If you decide that the IG is the right breed for you, a dog who you can give much time and love to, then the next thing you need to do is to find the right breeder – please refer back to Blog #3 for more information.